Need help with your move from London to Amsterdam? Moving Service can help! Most likey, you are looking forward to your move to the great city of Amsterdam. However, is the thought of moving taking the shine off it? If that is so, it is time to call in the experts. Moving, we believe, should be enjoyable and not at all hectic in any way. Therefore, we provide customers with superb services at superb prices which are carried out by our superb team of movers. Our services include packing and boxes, man and van, storage, home removals, international removals and commercial removals. Basically, we offer all the removal services you will ever need – and, at a fraction of the cost you would be charged at any other London removal company. Moving, we’re afraid to say, is not as simple as one might imagine. You can’t just throw a few things into a box and head off. There is so much more to think about. For example, you need a good, through plan beforehand and then you must make sure that your items are packed well. We can handle this all for you, if you like. We have the experts that can do it for you. If you would like to find out more about our services, or if you’d like to book a date for your Amsterdam move, call today on 020 8746 4402. Amsterdam - Everything You Could Ever Want and More! 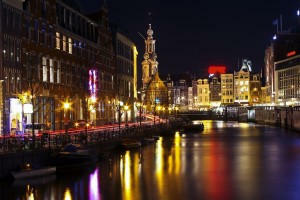 Amsterdam is both the capital city and the largest city of the Netherlands. What makes this city so amazing is that it offers tourists everything they will ever want. This city offers it all for all types of travelers. Whether you enjoy history and architecture, nightlife and partying, or just a simple, relaxing break, Amsterdam certainly offers it all. Of course, Amsterdam is mainly known for boasting stunning architecture. It has approximately 7,000 ancient buildings for tourists to see. Since the 19th century, the streets of Amsterdam have changed very little and this is what it makes it so unique and such a special place to visit. The city centre of Amsterdam boasts the Old Centre, which is located in the heart of the city centre. This is certainly a place worth viewing. There are also many churches in the city and one of them even dates back to the 1300s. In addition, the city possesses many museums, parks and galleries for you to explore. Moving from London to Amsterdam is not going to be easy if you do it singlehandedly. However, if you let Moving Service lend a helping hand, it is certain that your move will go according to plan. As a company that has been operating for ten years, we understand the needs of our clients and we also understand what it takes to achieve a smooth and stress-free move. To make things simpler for the client, we provide you with a moving checklist. The reason we do this is so that you know what tasks should be carried out beforehand and then you can tick them off when they have been carried out. You will not believe how useful this is. It will save you a lot of stress and worry in the long run, that’s for sure. We want, more than anything, for your move to Amsterdam to be easy and hectic-free. With our constant help and support, we believe we can provide with a move as such. Please call us now if you would like a free quote on 020 8746 4402. Our advisers are also more than willing to provide you with endless help and support.